I find myself these days pre-occupied with the financial health of Detroit. Why? We all know that Detroit is in a bad way financially but no one could have predicted that Detroit would be months away from being out of money. We should have known it was coming. Detroit has lost more jobs and had more layoffs than any other city the past 3-4 yrs. Whenever you have that, you have people moving away to find employment. People are still planning to leave the city, as former plant workers who gained degrees in the past few years, seek paychecks elsewhere. Those with children have extra incentive to leave. Job opportunities out-of-state may also bring a more stable public school system. That combination is hard to pass up. Part of Dave Bing’s plan to get some money back in Detroit’s pocket is getting state help to recover taxes. There is only one problem with that plan. Depletion of people means depletion of taxes you can collect. The next part of his plan is more viable but Rick Snyder has set in motion plans for an Emergency Financial Manager over the City of Detroit. Nothing pleased me more than to see Dave Bing and the Detroit City Council on T.V. forming a united front against Rick Snyder’s plan for an Emergency Financial Manager over the City of Detroit. Each person took the podium and expressed confidence that Detroiters can fix Detroit. The next part of Bings plan to get Detroit back on track involves recouping $284.6 million in which the state owes the city for various revenue sharing agreements. Some going back as far as when Engler was Governor. Even Kwame Kilpatrick sent a letter to then Governor Jennifer Grandholm, requesting $6.8million payment for grass cutting and lighting services for state operated property in Detroit. The city has yet to see a penny. Imagine you hit the Mega-Millions for $284.6 million. You are beyond happy because you are months away from filing bankruptcy. Instead of paying what they owe you, they send you a mandatory financial manager with no check. How do you feel now? That’s what the City of Detroit is facing. Don’t forget, During his campaign for Governor, Rick Snyder refused to debate or even show up in urban populated cities like Pontiac and Detroit. Pontiac already has an Emergency Financial Manager. I smell a rat! Detroiters can indeed fix Detroit, if the state pays up. If the state does not pay up, Dave Bing and the City Council must file a lawsuit in Federal Court. It is after all a breach of contract. Not only that, it will send a strong message that Detroit is here to stay! Getting the money would be huge. That buys Detroit valuable time. Add to that a recent announcement that the big three is due to hire 35,000 employees between now and 2015 and youve got a great start. Working people feed taxes and entertainment revenue back into the city. Not to mention new business competing for new consumers. This makes a perfect recipe for a Detroit rebirth without the need for an Emergency Financial Manager. Detroit may rise from the ashes like the mythical phoenix better than before. 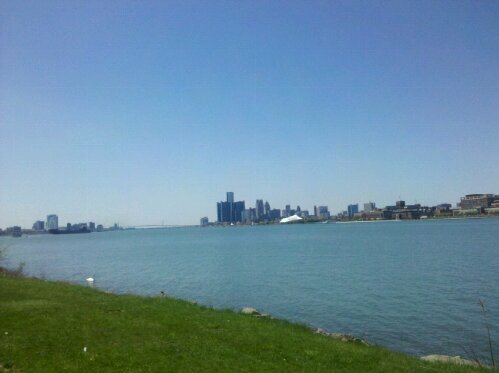 You can call Detroit “Broke” all you want to… but its far from Broken! Holla if you hear me! Posted on December 9, 2011 by KELLY GREENE	• This entry was posted in People, Politics, Uncategorized. Bookmark the permalink. The signs and symptoms were overlooked ad passed on to the next person in charge…it was easier to do that than to start repairing the cracks in the system. Now the time has come to do something; you can’t ignore the problems anymore. People are quick to say that there is no hope for Detroit. Is that so?? I say that it is time to roll up our selves and start cleaning up a once beautiful city. The City of Detroit has many hidden jewels and I would like to see it return to it’s beauty. We are , after all, Michiganders Michiganders don’t stand around with there hands in their pockets-they start moving and look for ways to get things done. I look forward to Detroit getting back on their feetYes Detroit may be broke-it isn’t broken. Roll up our sleeves, take it one block at a time .and let ‘s get this City of Detroit to shine again ! I am with you 100%! Consider my sleeves rolled up! Thanks for reading!